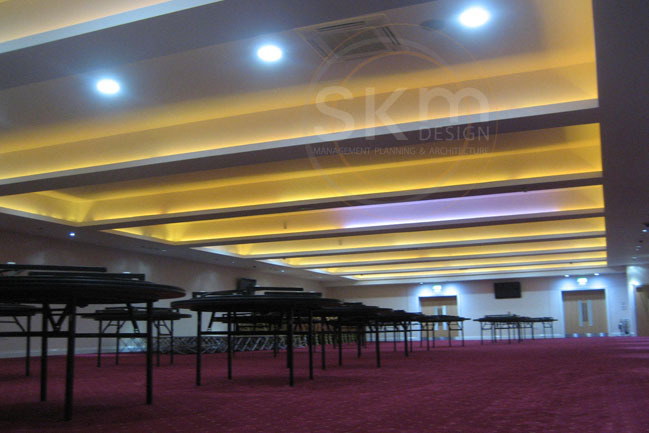 Turning an old industrial building into a multipurpose centre that hosts a wide variety of events including weddings, parties and exhibitions. 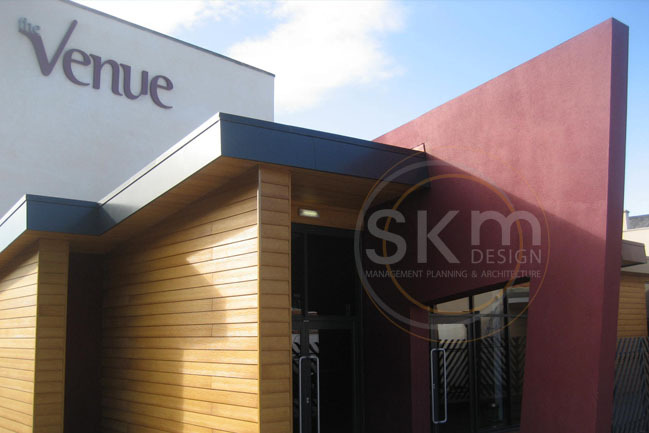 The striking red ‘fin’ at the entrance mimics the shape of the V in the corporate logo. 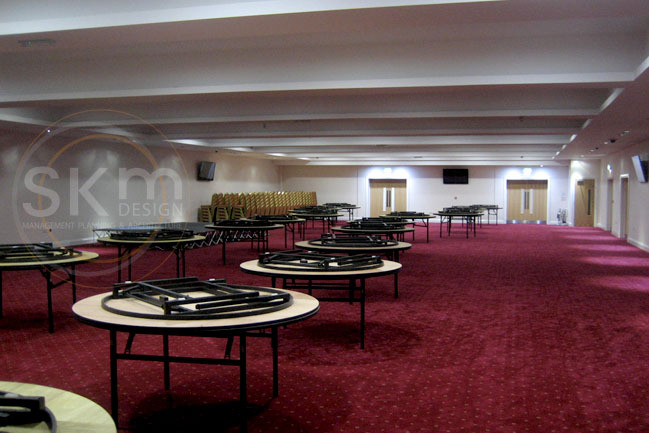 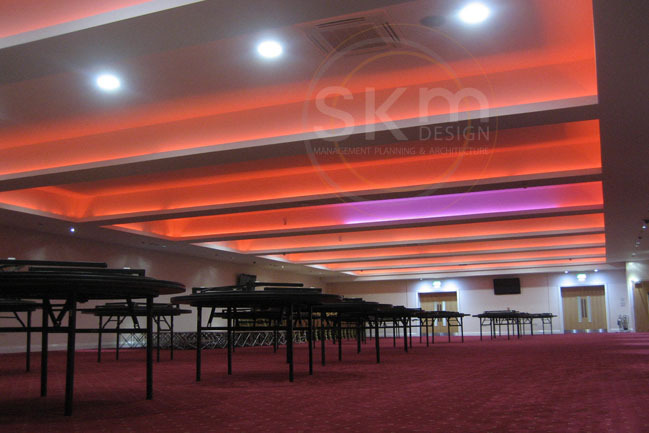 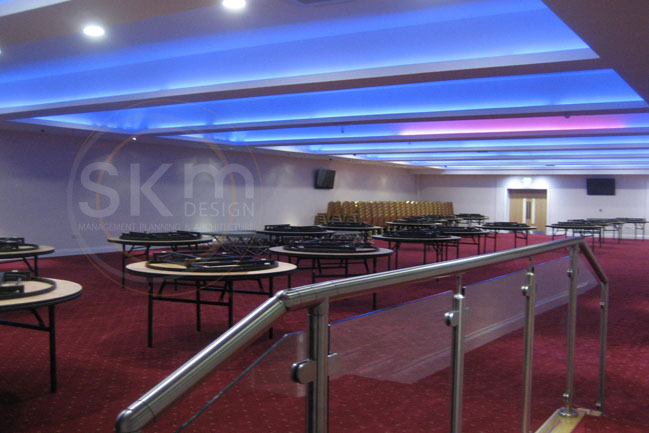 The lighting colour within the ceiling recesses can be customised to suit each event. 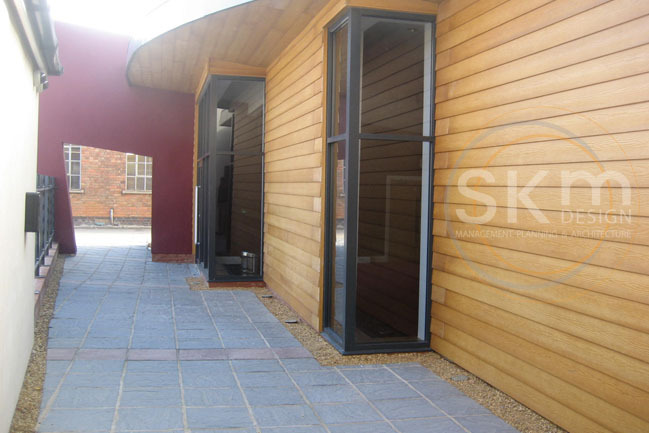 Pine effect cladding and anthracite grey window frames complement and contrast with each other to give a unique frontage to this popular centre.